May 14. 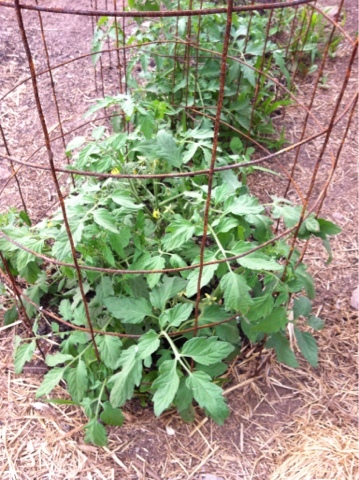 We have tomato plants with flower buds already. Started in December. In the hoop house, true, but without any additional heat. No electric lights, no heat pads underneath. Just seeds in dirt..nice dirt, true, but no chemicals. Compost, vermiculite, peat moss. With night time temperatures warming up and day time temperatures above 70 there are plenty of pollinators out. Tomatoes, a new world food, not dependent on the honey bee..there are plenty of native pollinators that will work on them..so we might just have something to eat..soon!